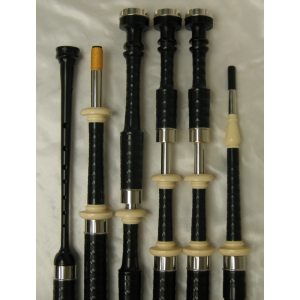 Canadian bagpipe company "Dunbar Bagpipes" was founded by Jack Dunbar, a time-served bagpipe maker who learned his trade and developed the craft while working for Scottish bagpipe maker Peter Henderson Ltd. Jack Dunbar immigrated to Canada in 1951, and although he was employed at General Motors, he gradually rebuilt his bagpipe business until he was able to retire from GM and launch "Dunbar Bagpipes" on a full-time basis in 1985. 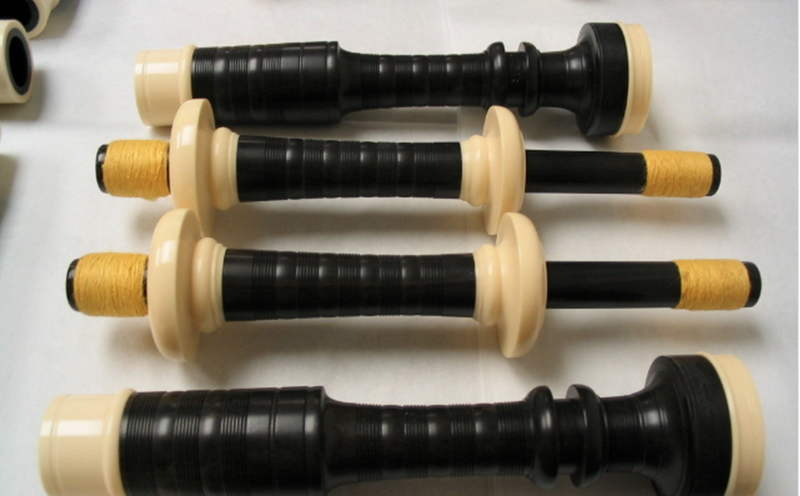 Dunbar Bagpipes are based on the Henderson specifications, with great attention to quality and detail. 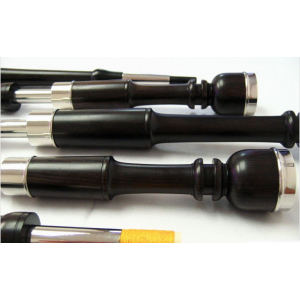 There are several models from which to choose, with the main choices being material: polypenco, African blackwood, cocobolo. 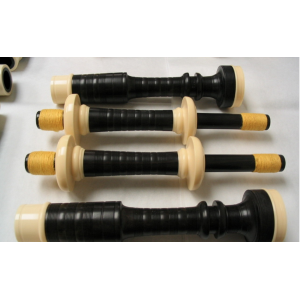 All Dunbar Blackwood bagpipes are fully warrantied for a period of two years for workmanship and materials. 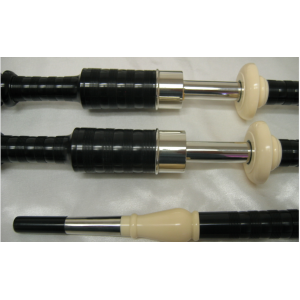 Al of our Blackwood bagpipes are manufactured to the same specifications meaning that they will all sound the exact same. 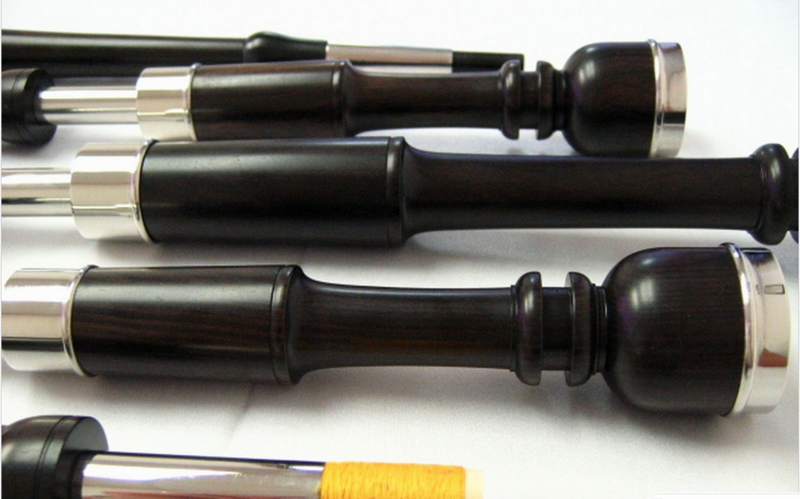 The only difference between the various models is in the outside "decoration." 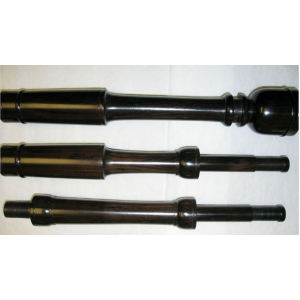 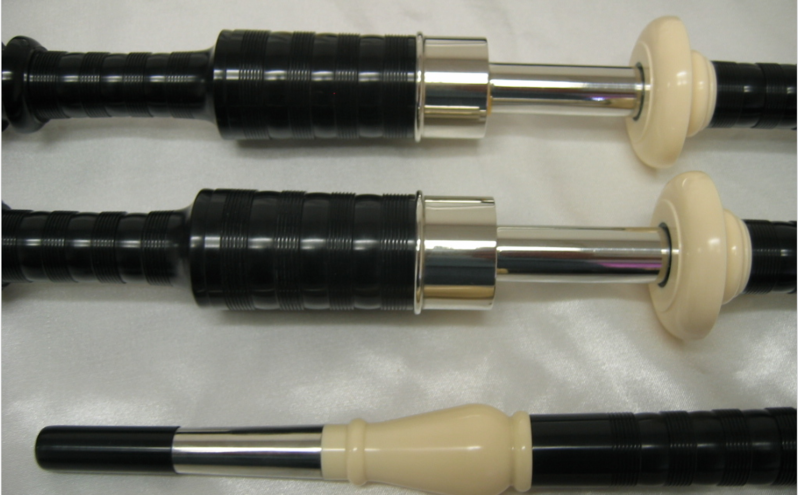 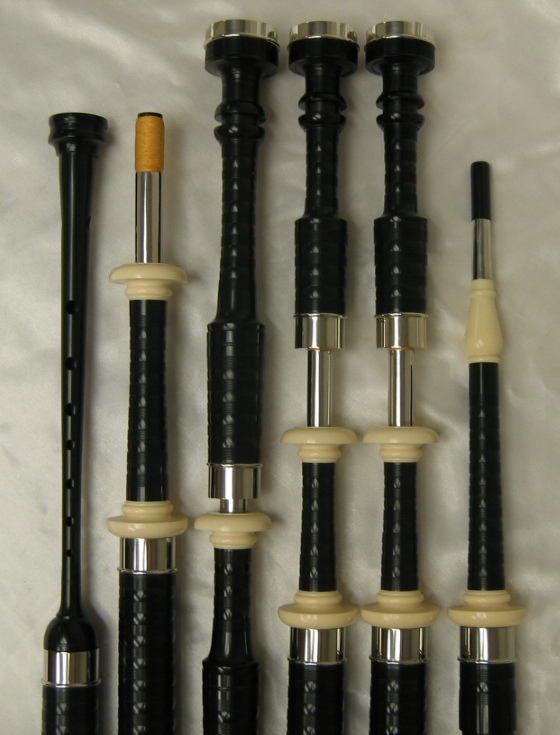 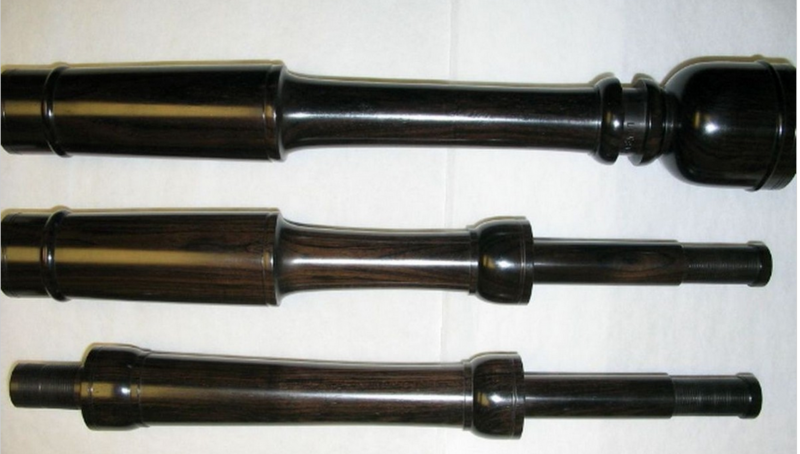 Dunbar makes several styles of standard pipes, with imitation ivory and/or metal mounts, and they range from about $1,000 to $1,400 for "sticks and stocks" and then adding a full package of options (bag, reeds, cover, cords and pipe case) about another $400.